Home › Music › Peak Vinyl? Is It Time To Start Buying CDs Again? As with many bad ideas, this one started in a pub. History is littered with Bad Ideas That Started In Pubs. The Pet Rock was an idea that began in a pub, naturally. You’d have to be pretty pie-eyed to think that was a sensible business idea, even if it did turn out pretty well. Quidditch was reportedly invented in the pub when JK Rowling was drowning her sorrows after arguing with a boyfriend. She pictured him being knocked off a broomstick with a bludger, and the world’s most mystifying sport (after cricket, if my wife is on the judging panel) was born. And the Iron Man Triathlon was concocted in Hawaii in 1977, after John Collins and Judy Collins presumably had a few too many Tom Collins and calculated if they did the 2.4-mile Waikiki Rough Water Swim followed by the 115-mile Round the Island bike race, they would be near the start line of the Honolulu Marathon. And wouldn’t that be fun? Honestly… Some people shouldn’t be allowed near alcohol. I was beginning to realise that one of those people might be me, when I found myself in the unlikely position of darting constantly in and out of Charity Shops looking for R.E.M. CDs. It turns out it’s quite an annoying habit when you are in company. There are few more grating habits than charity shop visiting, it seems. The irritation stems, I understand, from when your loved one thinks they are strolling down the high street with you, only to find they have been walking on their own for the last quarter of an hour, and after ten vexed minutes of looking around, considering filing a missing persons report, and wondering which picture they should use of you on those “Missing Persons” adverts on the side of bottles of milk that you see in Hollywood films, they see you popping blithely out of The British Heart Foundation shop muttering something about how many copies of Dido’s Life For Rent are cluttering up the place. Apparently it’s also *insensitive* when they are trying on a particularly lovely dress in the changing room of a nice boutique-y shop and they swish back the curtain wearing said dress to ask your thoughts on how lovely the material is, only to find you are next door talking to some old dear manning the Cats Protection League counter and scrabbling around for change. I don’t even like CDs. Never have done, with their irritating clickety-clacking of jewel cases that shatter upon impact with human skin, a feature entirely in keeping with their mythical indestructibility. I digress. Where was I? CDs..bad ideas in pubs…ah, yes, I remember now. Back to the story. A year ago now, I was chatting with a couple of pals. Andy is a casual music fan who has embraced Spotify and the wireless system Sonos. Chris, on the other hand, still likes buying CDs. We were discussing the general flaws around CDs and the fact that CDs have now never been cheaper. For items that used to fetch £15.99 or more in the shops in 1990, cash converting website Music Magpie will now offer you the princely sum of thirty English pence – just 2% of it’s original value. The only items to have fallen more dramatically in value than CDs since the nineties are canvases of original Rolf Harris artwork and Jim’ll Fix It medals. I mentioned I wanted to start building a collection of R.E.M. albums on vinyl. “What’s the point of buying all those albums on vinyl when they’re all on Spotify?” asked Spotify Andy, as always genuinely bewildered at the fuss I make about vinyl. “I know you like playing the records but let’s be honest, they’re a real pain in the arse…” he added. “I like to have a physical copy of it” countered CD-buying Chris. “It’s just so….pointless…” retorted Andy, rolling his eyes. “Why would I, when I can buy records?” I asked. Well. He had a point. And beneath it all there’s a challenge. Are we wasting our time on records when the real value is in the CDs? We’ve been here before haven’t we, with vinyl? Everyone sold their record collections in the nineties. We couldn’t give them away… Are we falling into the same trap? To find out, I have spent a fair bit of time trying to buy the back catalogue of R.E.M. on vinyl and CD. Did I succeed? What did I pay? 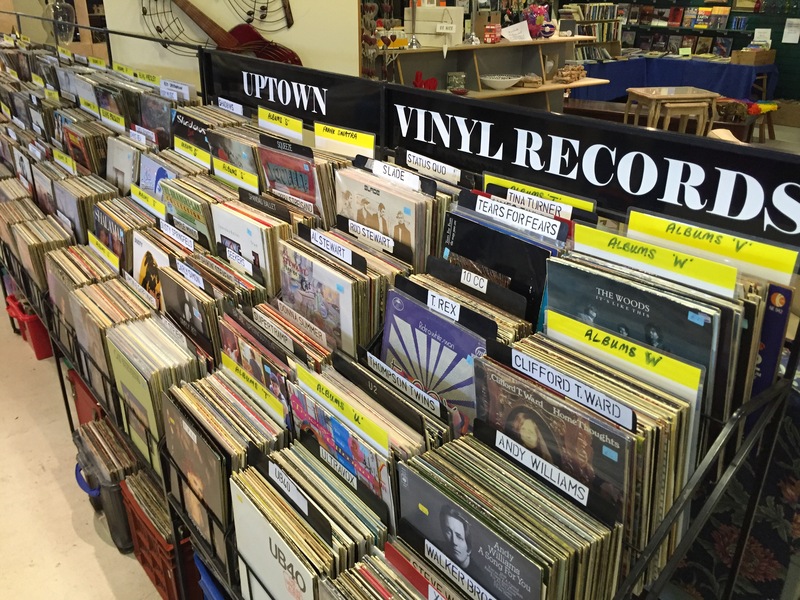 Are CDs a tiny fraction of the cost of vinyl? What’s the point of CDs? Did all the jewel cases shatter at the slightest touch? And would I be better off just listening on Spotify? Tags: CDs, music magpie, peak vinyl, R.E.M. Finding Monster on CD with an undamaged orange inner tray could be the biggest challenge. I was working at Our Price when that came out, and roughly half of every delivery we received had to be rejected as they would arrive smashed. Eventually the label took to shipping out extra orange trays to all stores. I’ve been toying with this very question lately so curious for the follow up. I still go vinyl because CDs are so utterly shite as a format….. but there are some artists I’ve been getting back into (Paul Westerberg for ex) whose albums weren’t originally released on vinyl and I think I’d rather (especially given the uncertainty of whether or not I’d enjoy said album) drop £2-3 for a used CD knowing it might end up rattling around the door pocket in the car than £25+ for new ‘first time on vinyl’ version. I’ve seen Monster in my thrift shop, orange tray (intact) and all. One time, when Mike and I went to Toronto on our annual record excursion, one shop had a whole row of them up across behind the counter, just for display purposes. Maybe they’re not as rare here? I had no idea Monster had that problem specifically, but it just goes to show…! I have been buying vinyl over the last year and I was just given a box of 100+ CDs and I have to say, the feel of the vinyl and the large artwork are the true appeal over CDs. The CD cases break easily and it is hard at my age to read the damn small print. The vinyl is easier on this old man’s eyes. Plus you can really enjoy the artwork more. You see all the little details you can’t on the CD booklet. Vinyl for me no matter the price!!! OMG I love being given music! 100 CDs in one box? Holy mackerel! That’s like Christmas!! They are beat to hell and on bad shape. Going through them now to see what plays. I am thinking of taking the cd booklets and turning them into a nice piece of art for my office. I could do a Led Zeppelin Mobile as every studio album was in the collection. I work in a thrift shop, and (at least here in Canada), R.E.M. CDs do turn up, but not all that often. I’d say you’re going to have to hit several shops over a longer time time to find them all. I’ve never seen an R.E.M. vinyl in my shop. I started out with REM in the vinyl days. Migrated over to CD with monster and never bought another thing by REM again. Wish I had monster on vinyl. Wouldn’t listen to it though. It’s crap. I think your “wish I had it but wouldn’t listen to it” comment encapsulates one part of the record collector in all of us. Just for the record (no pun intended), CDs were not introduced until 1982, and then only in Japan. So they were not around or being discussed in the seventies. Cheers. I buy obscure artists on vinyl and on CD, preferably both. For example, Doll by Doll, Kerrie Biddell, Greg Quill/Country Radio – all have either never been released on CD, or for about 5 minutes, while the vinyl is available for the price of a coffee. I have all Doll by Doll’s albums on both formats, through years of patient searching for CDs at a price I can afford. I love vinyl for all the obsessive and illogical reasons every other bloke who reads this blog does (how many women do you know who buy albums no one cares about in a format impossible to play while out walking in the sunshine? ), but I also like CD because it’s a physical artefact (important to me) which is easy to convert for portability. One obscure artist I’ve been trying to buy on vinyl for years is Sue Barker. I saw her play live in the late 70s to me, the bar staff and the drunk in the corner, and fell in love with her fantastic voice. She made one LP in about 1978. It was on the market for a blink of an eye. It has been consistently advertised on Discogs for around $400 by various comedians. It’s just been released in Australia on CD. For $25. No contest. Vinyl wins for the warm sound, the sheer joy of holding the thing and staring at the artwork, and the ritual of playing it. CD wins because it’s so cheap, it also sounds great, and it may well be the last physical format we’ll ever experience for the vast majority of most albums. I still have a cassette deck too, and if that’s the only way to get an album I really want, well cassettes are pretty funky too. Ultimately it’s the music that counts. As you say, it’s the music that counts, so it’s interesting that having a physical format still remains important to people. For example there are five doll by doll albums on Spotify that you could play straight away without months of searching, yet still we look for physical formats, or at least some of us do, at least some of the time. Part of why I wrote this short series is to think about why that is, so thank you for sharing your thoughts. Here in the States, R.E.M. CDs are pretty easy to find, especially Monster. A friend and I have often marveled at the frequency (Kenneth) in which we have seen it at record shops, garage sales, pawn shops, antique stores, etc. over the past several years. This includes many visits to Chicago and other large cities as well as Podunkville, USA. Wiki states that the album sold over four million copies in the US and I’m certain we have seen a third of them. On a side note and perhaps odder, we spy an inordinate amount of Belly’s King and The Breeders’ Last Splash, considering their respective sales numbers and popularity when compared to R.E.M. Monster CDs are pretty common here too – it’s just the cases that are fragile! I live in Ireland & I started buying R.E.M.’s CDs in the late ’80s. I bought most of them at a slightly discounted price at the record store where I worked & all their early albums were put out at a budget price at that time anyway. I stopped buying them new after the release of Up, but I did pick up their last four albums on CD, as well as the Best Of & special double editions of the early Warners releases in charity stores. I’ve also picked up lots of their DVDs in charity shops & CeX. Monster turns up a lot in charity shops & had also been all over the bargain bins of record stores after they’d ordered in too many. I think Monster’s a fine album & has lots of good songs, is consistent in theme & sound & it’s that grungier sound that makes it very different to the rest of the band’s discography. Okay, it’s not as good as any of the albums that preceded it, but it’s better than nearly all the ones that followed it. I’ve only ever found a copy of Murmur on vinyl in a charity shop, but I have picked up all the LPs up to & including Out of Time at record fairs. Used CD copies of the better selling Warners releases tend to turn up more often over here, but it’s rare to see the IRS titles show up on any format. You should check out the US online retailer, SecondSpin, where I’m sure you’d fill out your R.E.M. collection without too much trouble. And to answer your question, yes, now is the perfect time to buy CDs, particularly from charity stores where they’re going for less than a quid & are generally in great nick. Like vinyl now, compact discs will be in demand in the future as a medium for collecting & listening to music. And it’s a great way to discover new artists & to learn a bit about them as well.